Much of the magic of the festive season swirls around children and toys and there's nothing more heart-warming than seeing a young face light up upon opening a Christmas gift and discovering a longed-for toy inside. Most of us can remember a favourite toy from our childhood. Maybe you still have it. Maybe it's been passed down to a child or grandchild and is still being enjoyed. Maybe it eventually broke and fell out of use. Or, maybe it simply disappeared over the years. But, whatever happened, those toys still have the power to evoke childhood memories. Memories of what seems a simpler time. And memories of holiday seasons past when the most important things in the world came wrapped in brightly coloured paper. 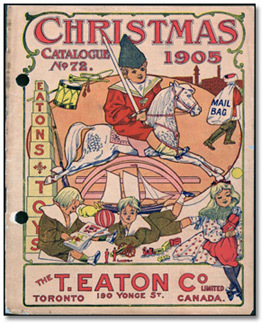 Last Christmas the Archives of Ontario remembered an Eatons Christmas and we asked members of the public to send us their memories of how Eatons, with its Toyland, catalogue and Santa Claus parade impacted on their lives. We had many delightful responses and posted a sampling of them on our memories page. One particularly poignant letter stood out and illustrated how the memory of a cherished toy stays with us. “ Dear Santa: On Christmas 1944 I was 8 years old. I received an Eatons Doll that year that had been ordered for me by my brother who had been killed in November of that same year, off the coast of Newfoundland, while serving in the Canadian Navy. 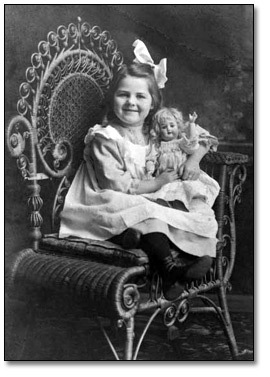 I would dearly love to see a picture of the Eaton Doll produced for 1944, as I gave the doll away to a little girl who didn't have a doll, many years ago. Would that be possible? Your Eaton Memories Page is wonderful, it brought tears of joy to my heart! Repeated attempts by the Archives to contact Ms. Livingston were unsuccessful but we hope we can reach her with this virtual exhibit. We hope too, that, among the images we've included, she finds that treasured doll she gave away so many years ago. 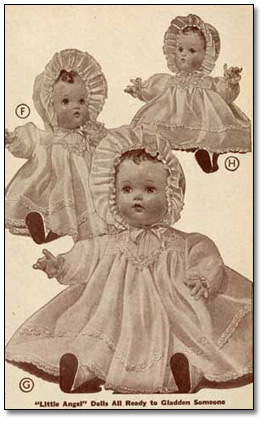 Maybe as you look through our Toyland Gallery you'll see a toy that evokes a special memory of your own. UPDATE: On December 20, 2007 and we received this email from Mrs. Livingston. 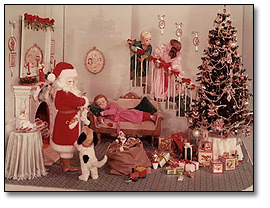 The Archives of Ontario wishes you and yours a happy and healthy holiday season and invites you to step back in time and remember The Toys of Our Childhood. Merry Christmas, Ms. Livingston, wherever you are. This festive season the Archives of Ontario has found historical images and film clips in its holdings that span different eras and reflect on the changing nature of toys and of times gone by. These images are just a few from the huge collection held at the Archives of Ontario. Visit the Archives or view our on-line databases including our Visual Database that contains over 9,000 historical images. To learn more about the collections used in this exhibit, click here. The Archives of Ontario thanks Sears Canada for giving permission to use images from the T. Eaton Company fonds held at the Archives of Ontario. Note: There are a number of video files included in this virtual exhibit. To view them you will need either a Windows Media Player or a Quicktime Player. Both of these applications are available for free download. If you wish to download a free player application click on one of the icons to the right or one of the links above to go to the appropriate web site.